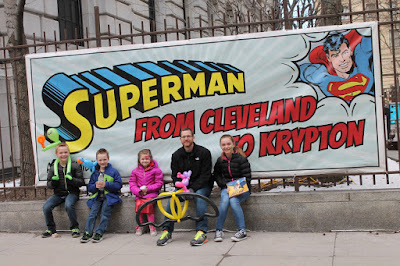 I thought my plans for our family reading experience to celebrate Marc Tyler Nobleman's birthday were in jeopardy when I realized we were headed to Cleveland the same day as the city's St. Patick's Day parade. I worried more when I realized that one of the locations I wanted to visit was actually on the parade route. 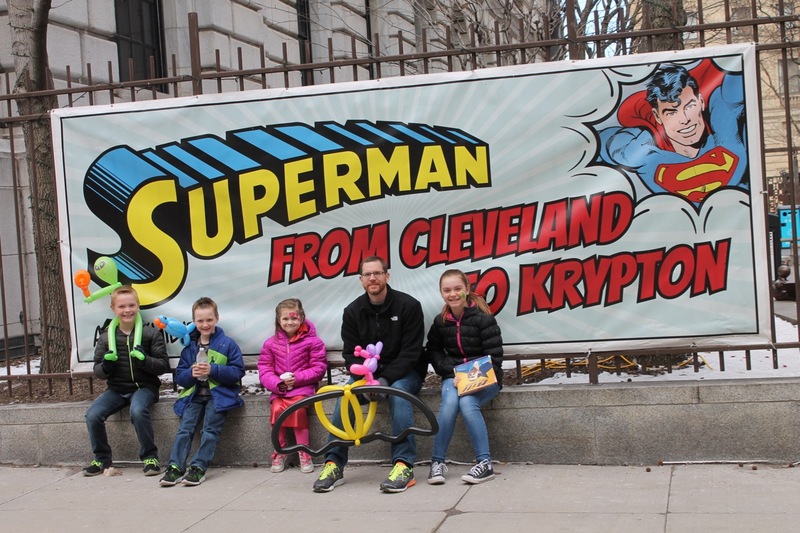 Then, I awoke with the thought that everyone in the city would be wearing green and with green being the color of Kryptonite I couldn't help but wonder, "Was our Super-family-day doomed?" I shook off the worries with a follow-up thought of hope. "We are headed to the home of Superman. 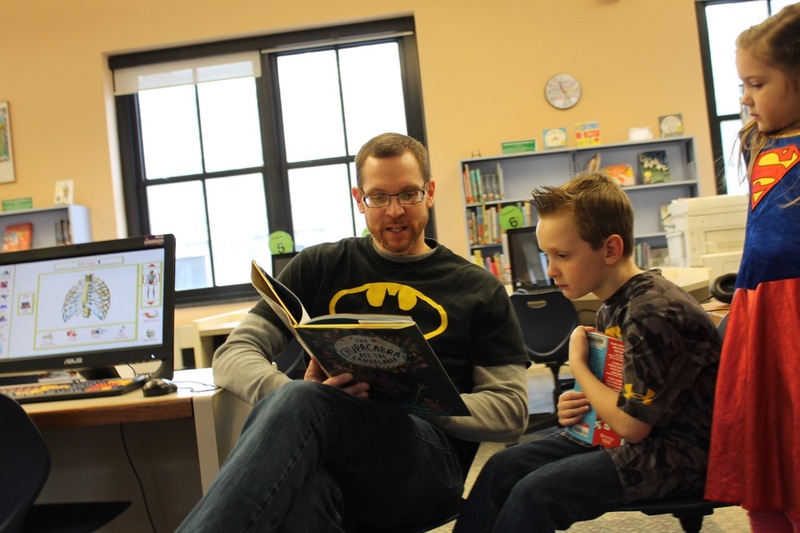 The spirit of the greatest superhero of all-time would certainly find a way to protect us on our reading adventure." Marc Tyler Nobleman is the author of Boys of Steel: The Creators of Superman, Bill the Boy Wonder: The Secret Co-Creator of Batman, and The Chupacabra Ate the Candelabra. As a boy, he loved superheroes and all those years of reading comic books served him well when he became a detective. Well, not a detective like the ones that solves crimes punishable by law, but a children's book detective who uncovers the mysteries and backstories of topics we thought we fully understood. Marc began his children's book career in the marketing department of a publishing company. In 1996, after working at the company for a couple of years he was offered an opportunity to write his first book, The Felix Activity Book . (Kids Book Review). 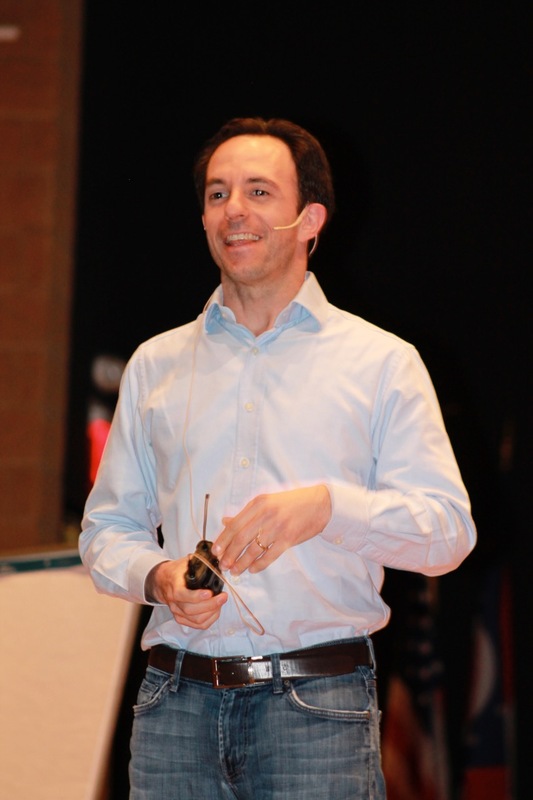 Within a few years, Marc was laid off from the publisher but continued as a freelance writer. 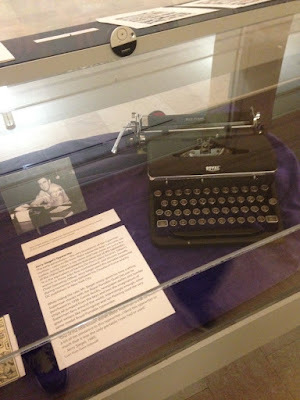 Over the next ten years, he wrote seventy non-fiction books about American history, animals, and a wide-variety of other topics. (Noblemania). Then, in 2008, Marc published Boys of Steel: The Creators of Superman. 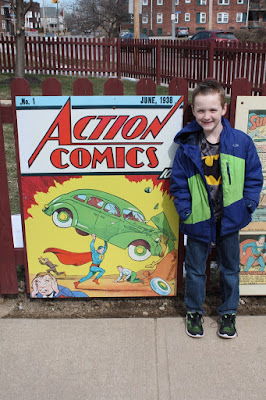 Marc acknowledged the importance of this book on his blog, "Boys of Steel was important to me...It wasn't just book #71. It was actually book #1." Marc told the audience at the Mazza Museum Summer Conference 2017, "Superman is so famous, but his backstory was not." 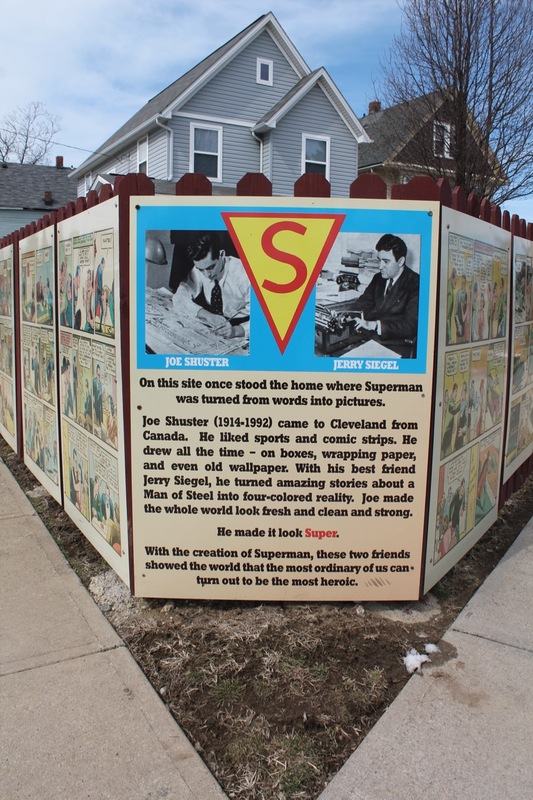 Marc put on his detective hat and uncovered pieces of Jerry Siegel and Joe Shuster's story that had not been told. 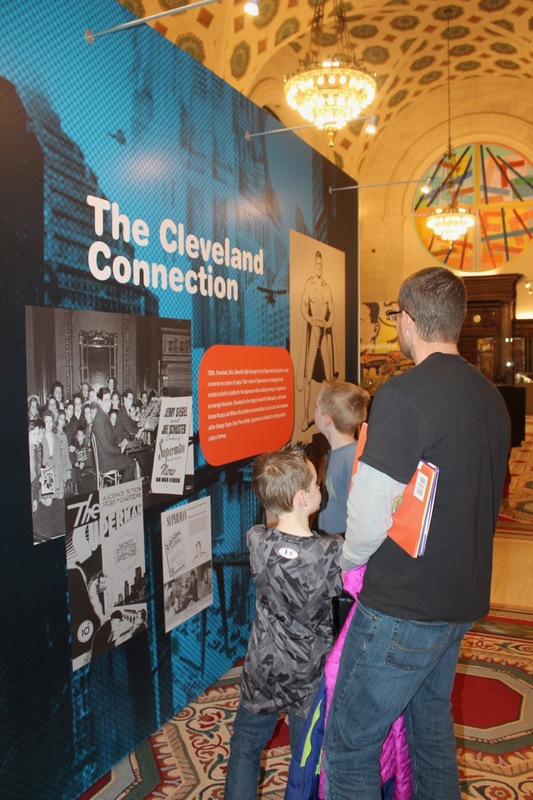 He uncovered the true story of Jerry Siegel's father's death during a robbery and the mystery behind Joe Shuster's house in Cleveland, Ohio. 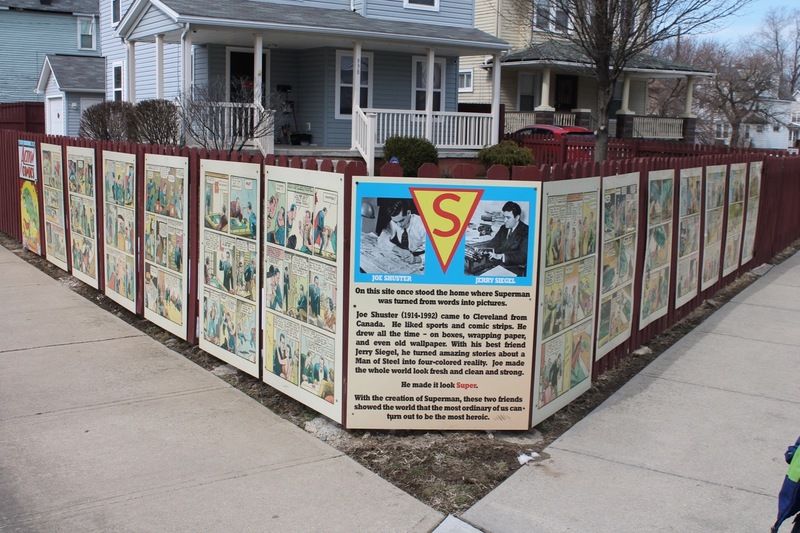 Boys of Steel: The Creators of Superman includes both of these important pieces in a picture book that chronicles how the co-creators became friends in high school, failed in their early attempt to make a science fiction cartoon, and then succeeded together in creating Superman with Siegel's words and concept and Shuster's art. 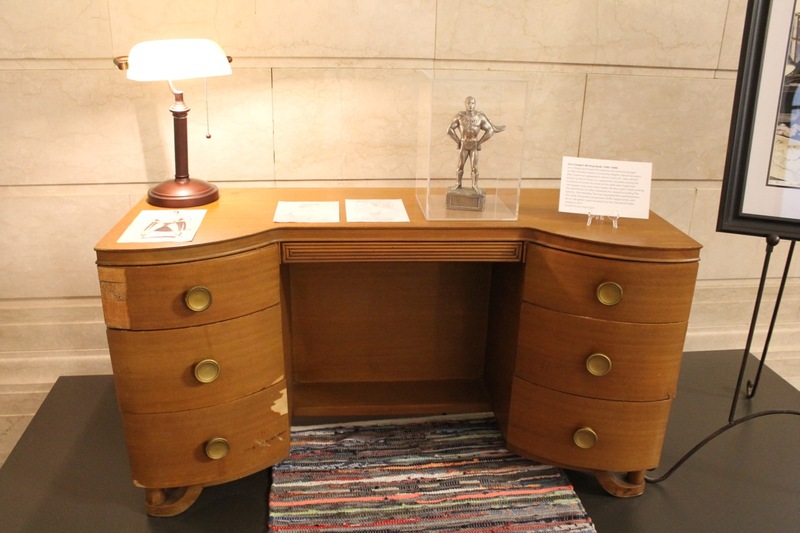 In this photo, Marc shared a photo of the Joe Shuster's apartment building. Marc found the photo at the Cleveland Public Library during his research. 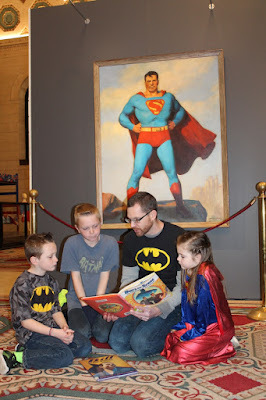 As important as Boys of Steel was to telling the not-so-famous backstory of Superman, it was Marc's book Bill the Boy Wonder: The Secret Co-Creator of Batman that would make waves throughout the comic book industry. It was in writing this book that Marc wanted to explain that there was a name missing in the credits of all-things Batman. There was substantial evidence that Bill Finger was involved with the creation of Batman from the beginning with long-time believed sole-creator, Bob Kane but only Kane's name was listed. The story told in Marc's book and the recent documentary Batman and Bill, led to DC comics acknowledging Bill Finger as a co-creator of the iconic character. 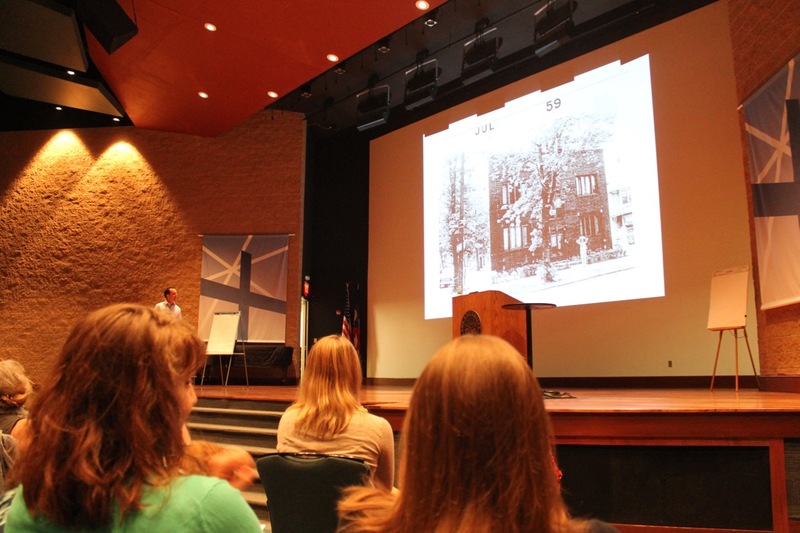 Marc's retelling of his research efforts had the audience at the Mazza Museum in awe and when I watched documentary with my family I was moved to tears. Marc's passion to uncover the truth is inspiring. His determination to get the story right was admirable. His enthusiasm was contagious. I can remember coming home from the Mazza Museum Summer Conference and I couldn't wait to tell my wife what I learned about Bill Finger and Jerry Siegel and Joe Shuster. Then, I couldn't wait to give Marc's books as Christmas gifts to my superhero-fanatic niece and nephew. And I couldn't wait until March to celebrate Marc's birthday where I would try to bring to life Boys of Steel: The Creators of Superman for my children. 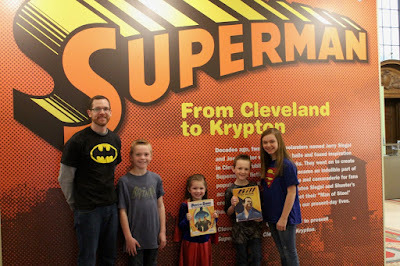 We arrived in Cleveland, the home of Superman, before 10 o'clock on Saturday morning. The St. Patrick's Day parade was scheduled to begin shortly after 1pm. 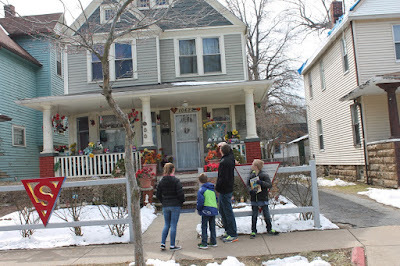 We hoped this would be plenty of time to see all the Super-sites without running into any leprechauns or crazy parade-goers. 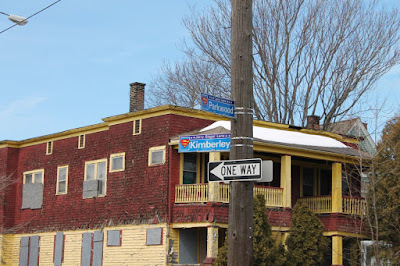 This Ohio Historical Marker is located at the corner of E. 105 St. and St. Clair. 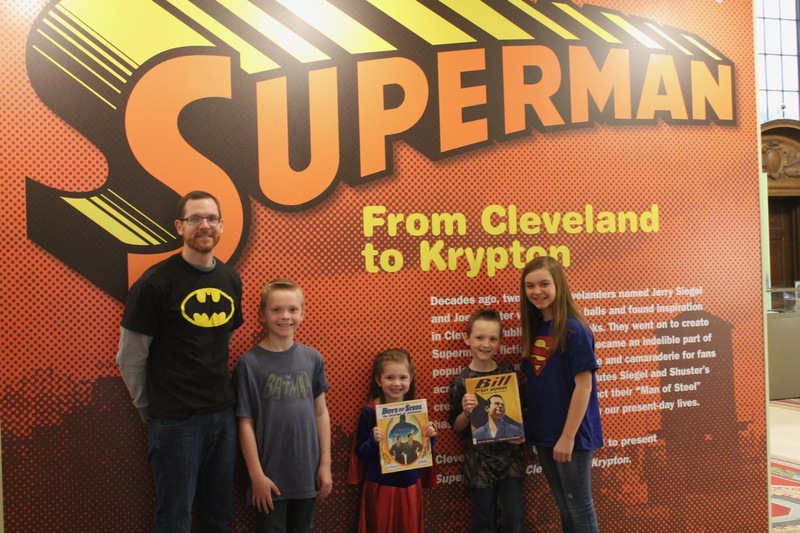 Our first stop was the Cleveland Public Library at 325 Superior Avenue to view the exhibit, Superman: From Cleveland to Krypton (open only through March 2018). 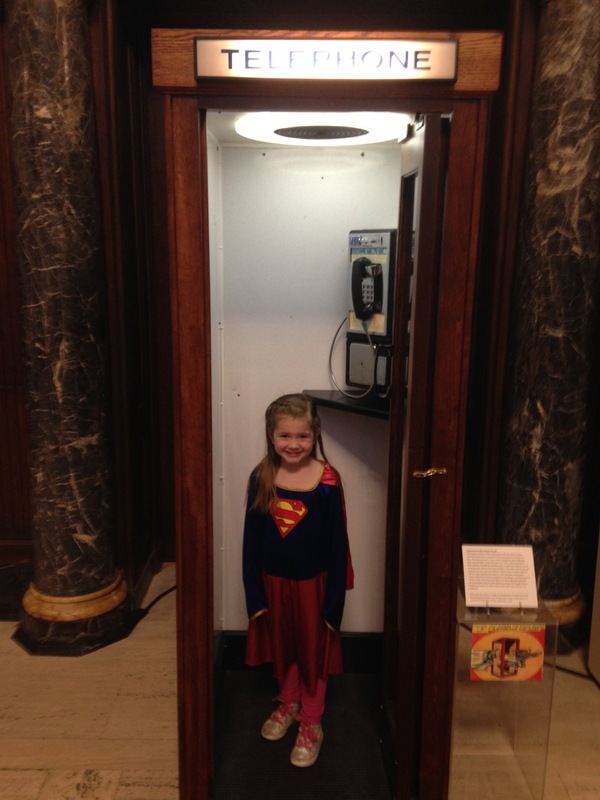 Right inside the door of the exhibit we found Boys of Steel: The Creators of Superman on display. 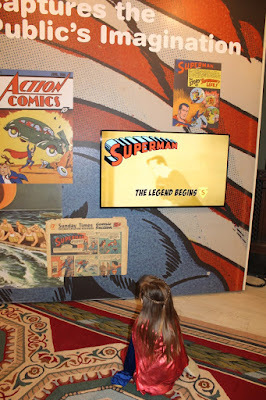 My boys started asking questions right away about the origin of Superman. I knew most of the questions could be answered by reading the book. We found the perfect spot to read it. This was Jerry Seigel's writing desk from 1940-1948 (about 2 years after Superman appeared in Action Comics #1). 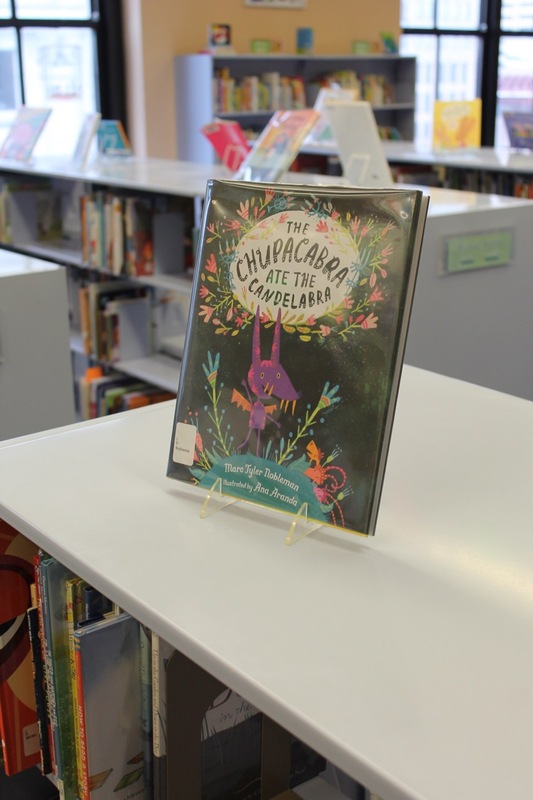 It was donated to the Cleveland Public Library in 2017. "Could you really call people on one of these phones?" It's a bird...It's a plane...It's Superman. 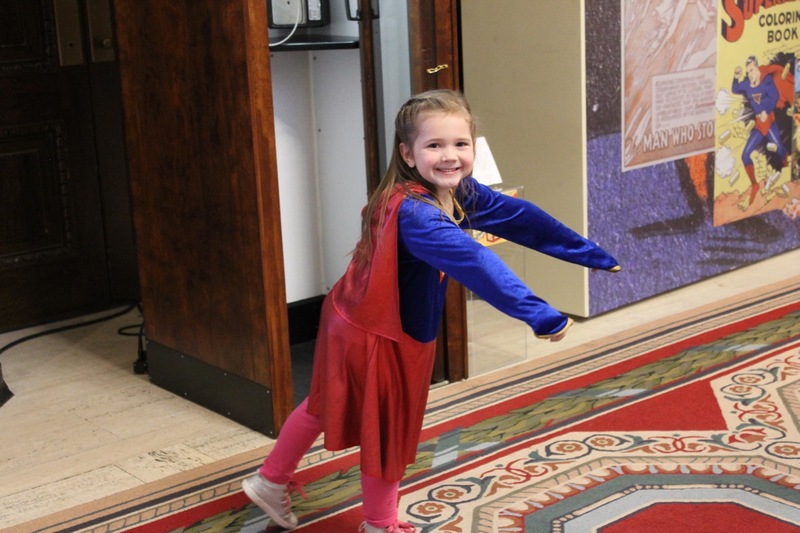 Wait...no, it's Supergirl! After the exhibit, we went upstairs to the children's department of the library. 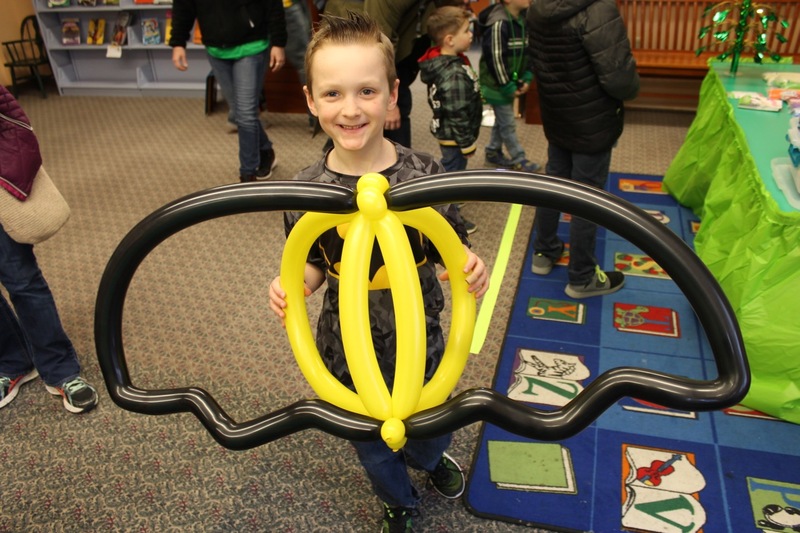 We were surprised to find that Youth Services was providing many activities to celebrate St. Patrick's Day including balloon animals and face painting. The balloon artist made bat-wings for my son. How cool is that! We found Marc Tyler Nobleman's The Chupacabra Ate the Candelabra and of course, we had to read it. It was a little before noon when we finished at the library. I was surprised the sidewalk in front of the library wasn't crowded with people awaiting the parade. So far in our journey, we had escaped a possible crippling encounter with the green stuff, but we still had two more sites we needed to see. 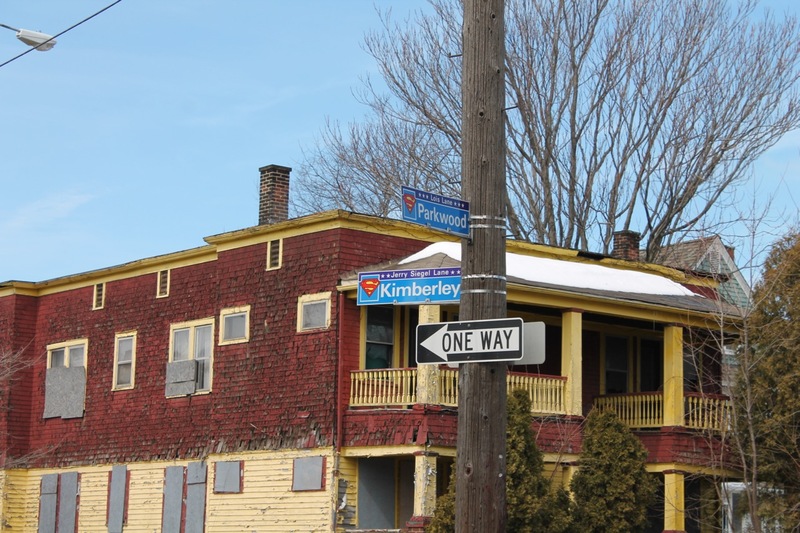 The first was on Kimberley Avenue which is about a 15 minute drive from the library. This was Jerry Siegel's house when he was a teenage boy. 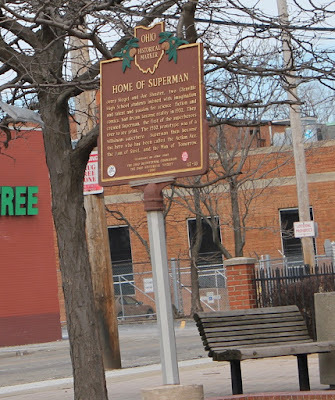 It was here, one sleepless night in 1934, where Jerry Siegel wrote down the idea for a superhero that was strong enough to lift cars and jump over buildings. 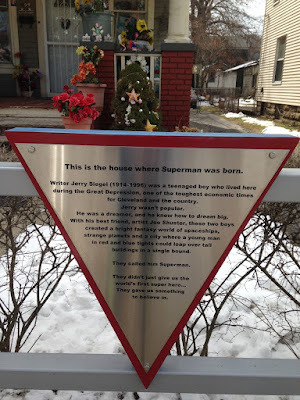 "This is the house where Superman was born." Jerry knew he needed help with his idea. 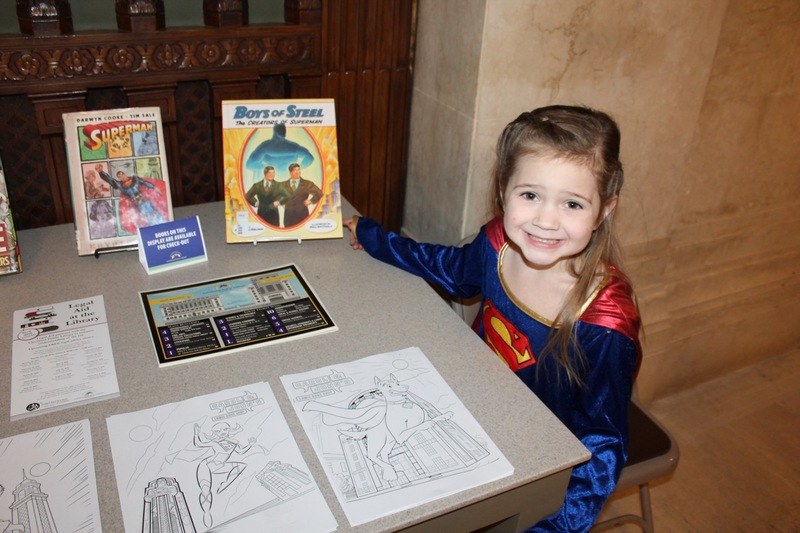 He needed his friend, Joe Shuster, to bring the character to life. 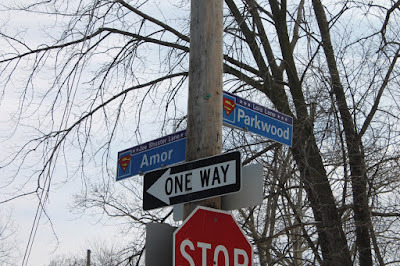 Jerry ran less than 10 blocks to the corner of Parkwood and Amor to his buddy's apartment. 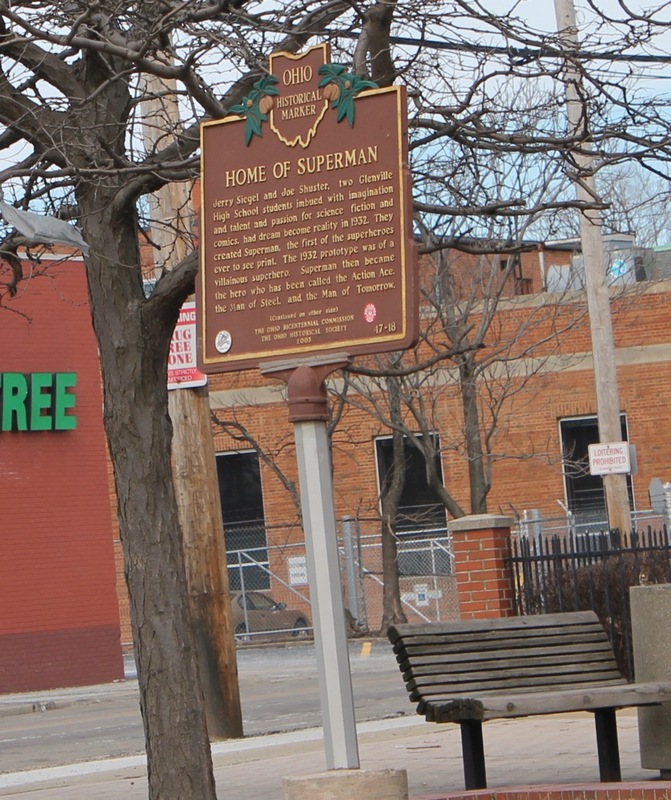 The building may no longer be standing, but it was here where Superman was drawn for the first time. 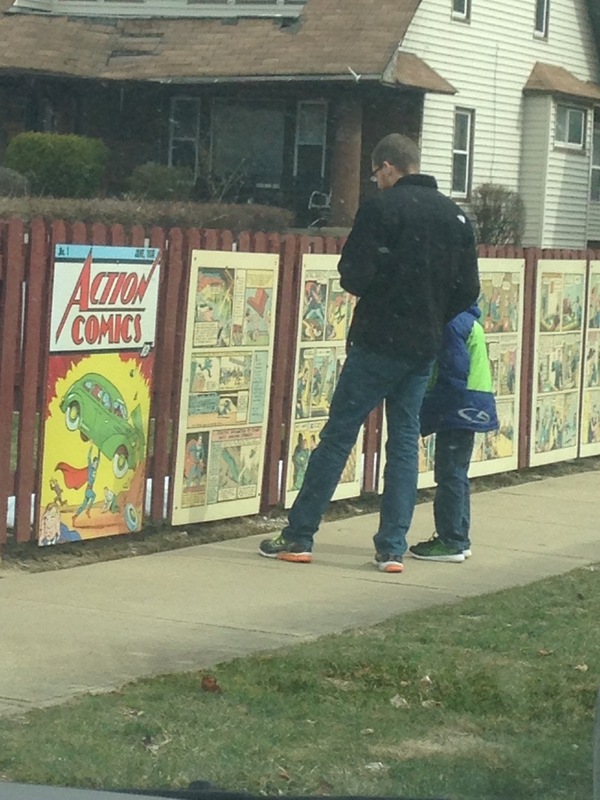 My son, the treasure hunter, said, "What if we find a copy of this comic book at a garage sale someday?" Well, you would be a millionaire, son! "On this site once stood the home where Superman was turned from words into pictures." 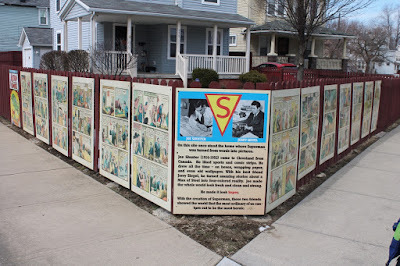 The panels on the fence are pages from the Action Comics #1 which featured Superman for the first time in June 1938. We did it! 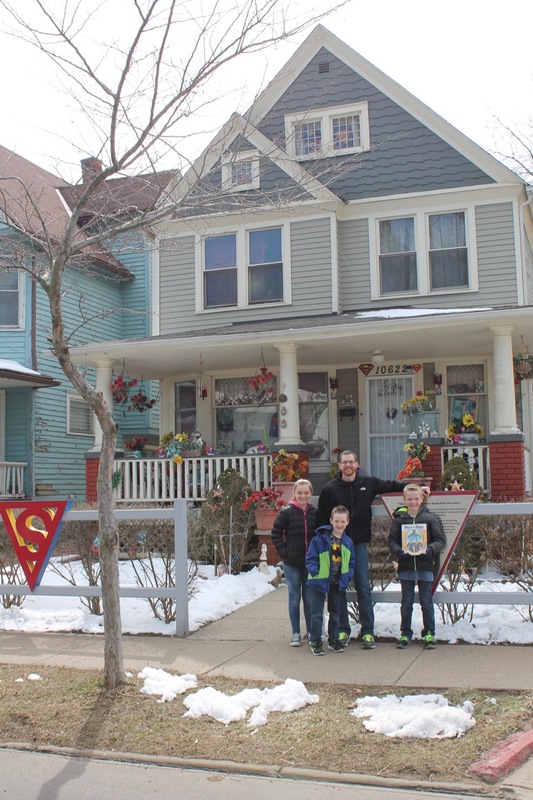 The spirit of Superman protected us from the parade, leprechauns, green kryptonite, and even terrible city traffic. We were truly blessed with a Super-day! Marc, it was a pleasure meeting you at Mazza. Thank you for working so hard to create these amazing non-fiction picture books. I enjoyed sharing them with my children. We hope you had a wonderful birthday!